Do what? Where was I on The Twinstitute TV programme last night? Where was the willow weaving creativity boosting your brain power experiment? Weaving a willow owl didn’t make the final cut! My mum put it brilliantly in a text sent to me a minute after the programme finished. She simply stated “painting must be sexier.” I hasten to differ, (although I have to say that Xand playing at a potter’s wheel did deserve air time), after all, willow rods aren’t also called willow whips for nothing! Despite my non appearance I did see my name in the credits, under ‘consultant’ which I found pretty amusing. Congratulations to creativity though, team Xand, with willow weaving Brian in it, did through 5 weeks of creative undertakings reduce their combined brain age by 6 years. The programme said that cognitive function can be improved through regular sessions at any creative task that draws on sensory motor skills, resulting in the stimulation of neuroplasticity in the brain. But maybe there’s still hope for me…. With 2 episodes in The Twinstitute series to go, you never know, maybe willow weaving will be in an alternative later experiment. Next week’s episode is all about quitting smoking. Perhaps my experiment comes under how to stop smoking by partaking in a Willow Sculpture Day, during which the sheer physical, mental and dedicated exercise of weaving willow into a sculpture means the tutor never lets you ever have a fag break…. As an aside, thank you to those on my MailChimp mailing list for over 40 bookings in 24 hours. Much appreciated! Thank you also to The Twinstitute who made me get on top of all my publicity at 90 miles an hour!!! 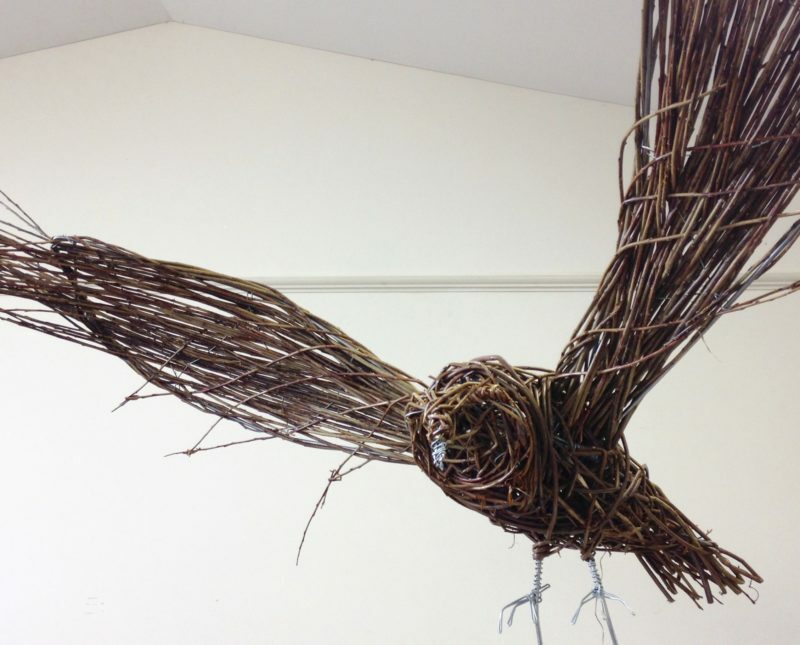 ← Book Now for May – August 2019 Willow Sculpture Days &… watch BBC2’s Twinstitute tonight! !